“for the development of the metathesis method in organic synthesis”. This year’s Nobel Prize Laureates in chemistry have made metathesis into one of organic chemistry’s most important reactions. Fantastic opportunities have been created for producing many new molecules – pharmaceuticals, for example. Imagination will soon be the only limit to what molecules can be built! Organic substances contain the element carbon. Carbon atoms can form long chains and rings, bind other elements such as hydrogen and oxygen, form double bonds, etc. All life on Earth is based on these carbon compounds, but they can also be produced artificially through organic synthesis. The word metathesis means ‘change-places’. In metathesis reactions, double bonds are broken and made between carbon atoms in ways that cause atom groups to change places. This happens with the assistance of special catalyst molecules. Metathesis can be compared to a dance in which the couples change partners. In 1971 Yves Chauvin was able to explain in detail how metatheses reactions function and what types of metal compound act as catalysts in the reactions. Now the “recipe” was known. The next step was, if possible, to develop the actual catalysts. Richard Schrock was the first to produce an efficient metal-compound catalyst for methasesis. This was in 1990. Two years later Robert Grubbs developed an even better catalyst, stable in air, that has found many applications. • environmentally friendlier (non-injurious solvents, less hazardous waste products). This represents a great step forward for “green chemistry”, reducing potentially hazardous waste through smarter production. Metathesis is an example of how important basic science has been applied for the benefit of man, society and the environment. Yves Chauvin, born 1930 (74 years), French citizen. Directeur de recherche honoraire à l’Institut français du pétrole, Rueil-Malmaison, France. Robert H. Grubbs, born 1942 (63 years) in Calvert City, KY, USA (US citizen). PhD in chemistry in 1968 from Columbia University, New York, NY, USA. Victor and Elisabeth Atkins Professor of Chemistry at California Institute of Technology (Caltech), Pasadena, CA, USA. Richard R. Schrock, born 1945 (60 years) in Berne, IN, USA (US citizen). PhD in chemistry in 1971 from Harvard University, Cambridge, MA, USA. Frederick G. Keyes Professor of Chemistry at Massachusetts Institute of Technology (MIT), Cambridge, MA, USA. 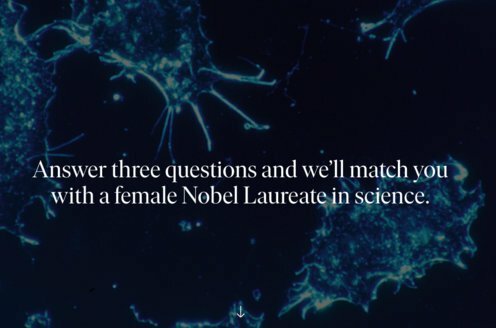 Prize amount: SEK 10 million, will be shared equally among the Laureates.